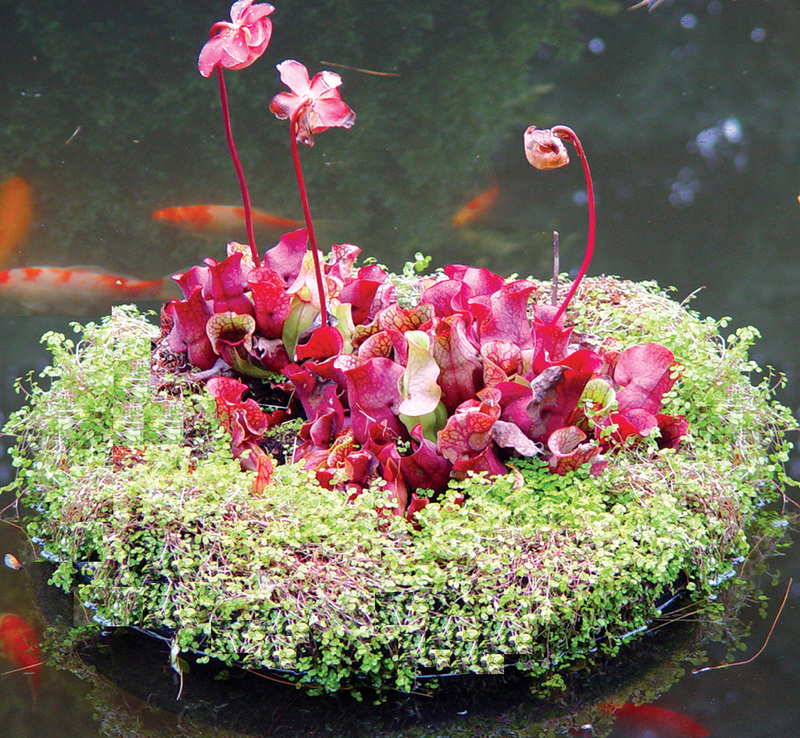 Click top images to open a larger view in a new window..
Maryland Aquatic Nurseries, Inc. (MAN) patented the first pond floating islands of its kind over 25 years ago. 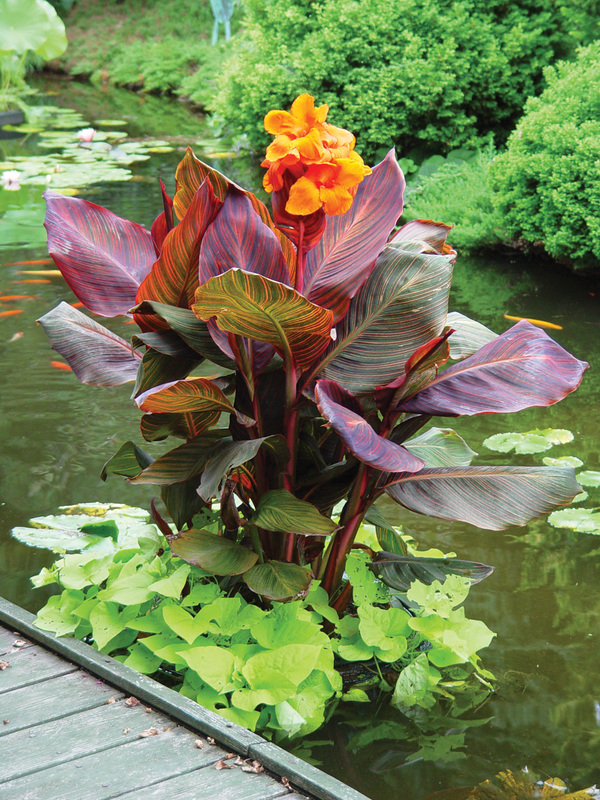 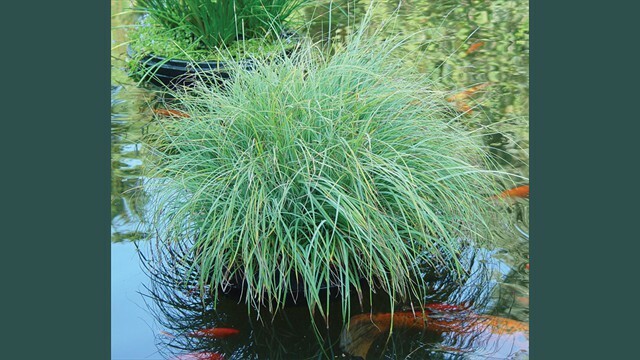 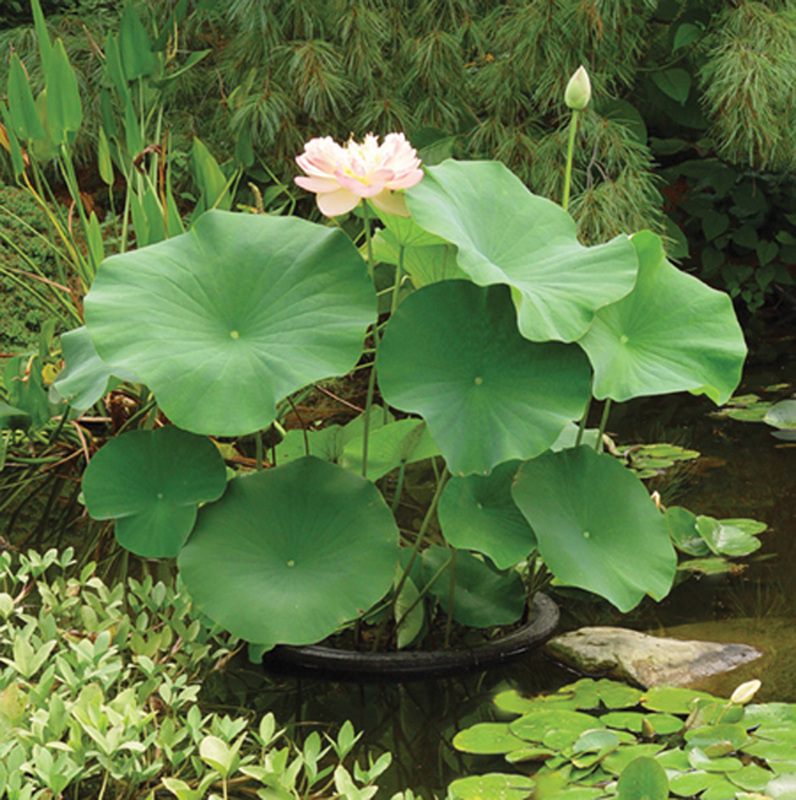 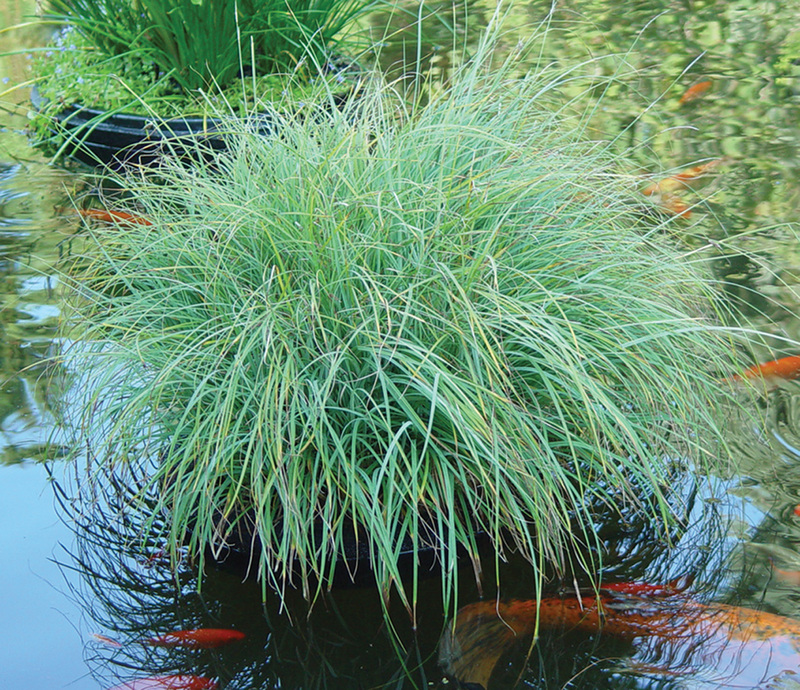 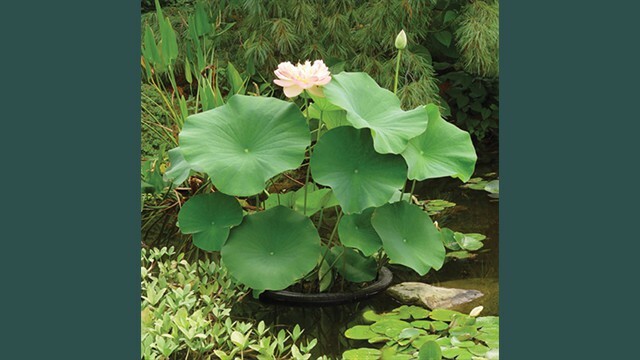 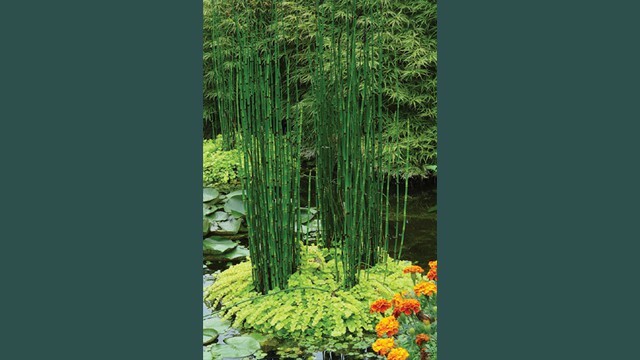 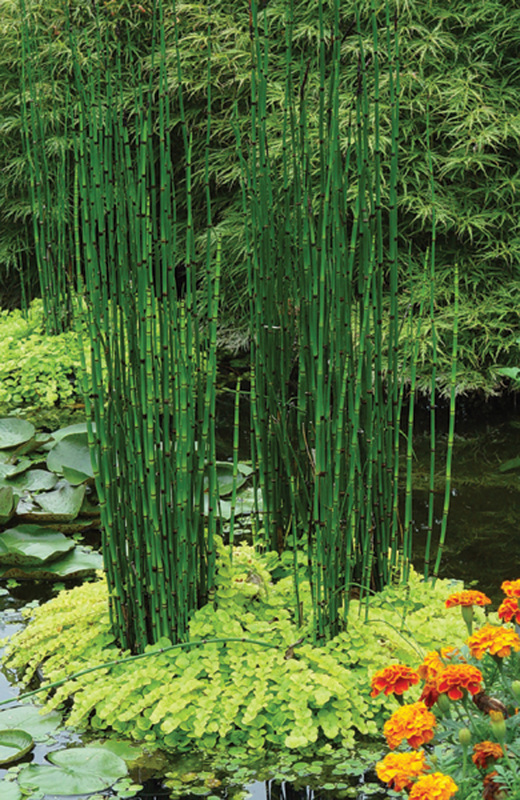 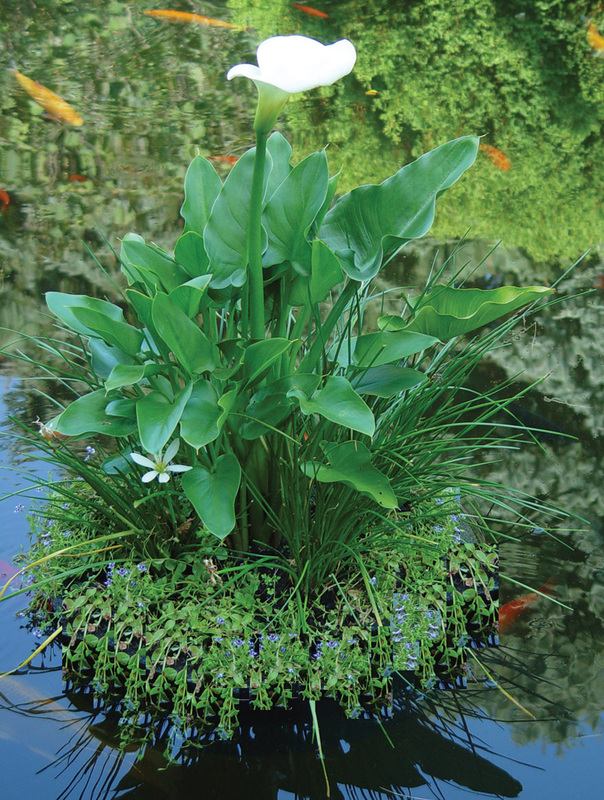 We have continued to innovate the concept into creations that not only present beautiful pond-scapes but islands that also help filter ponds to keep them healthy and clean. 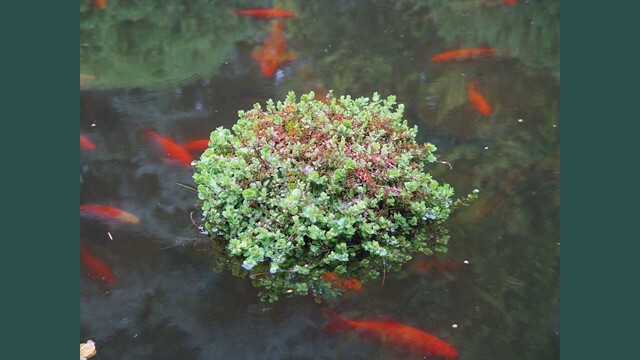 Some of these Islands lend themselves to "assembly kits" where plants of different varieties are planted in the right size pots that fit neatly in the predrilled holes in certain floating islands such as the 9" Creeper Island and the 16" Sundial Island (two of our best sellers). 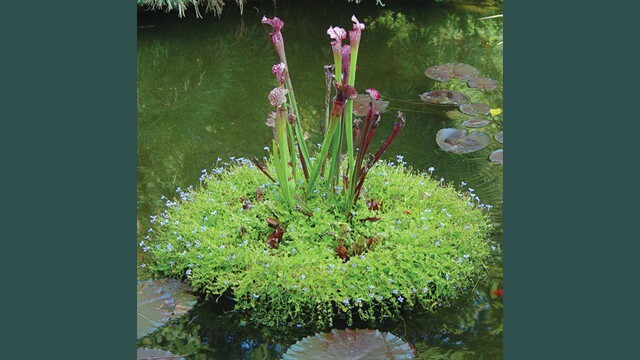 The customer could then select the plants that they particularly like and the Island could be assembled with their own choice of plants. 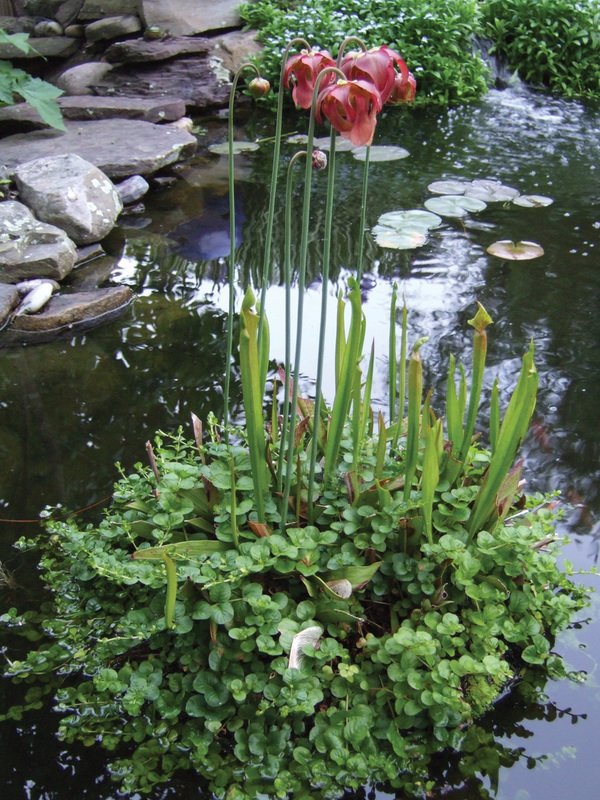 The images offer just some of the creations, sizes and combinations of floating islands we offer. 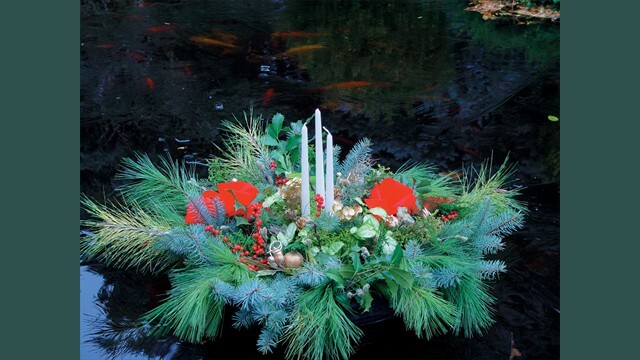 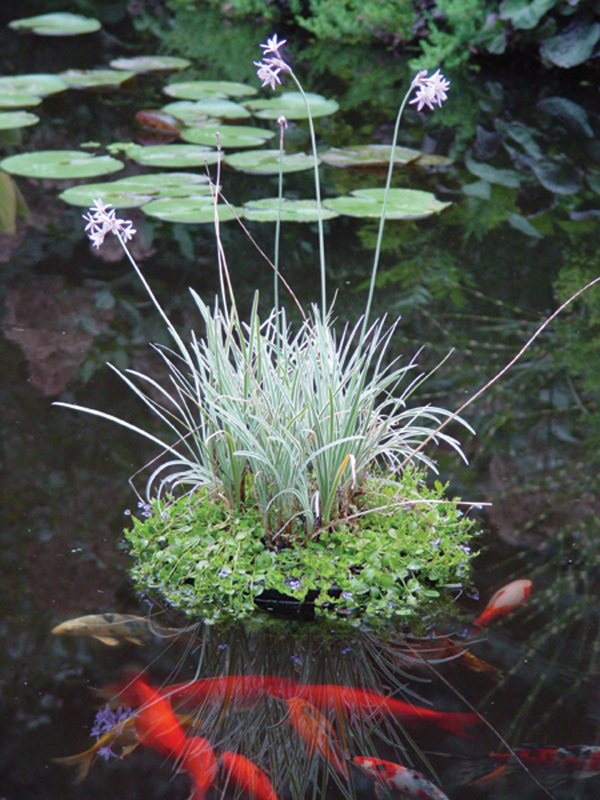 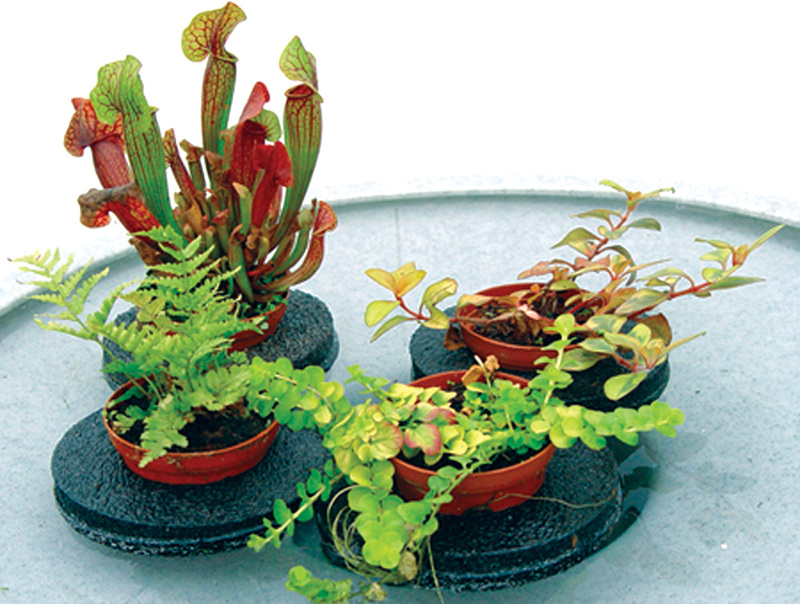 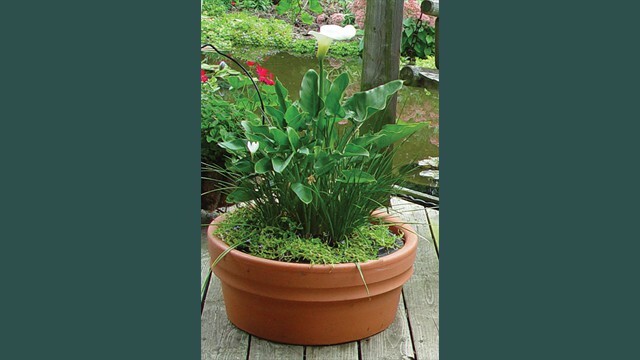 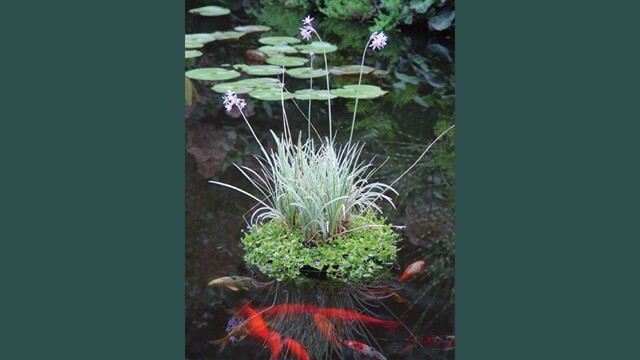 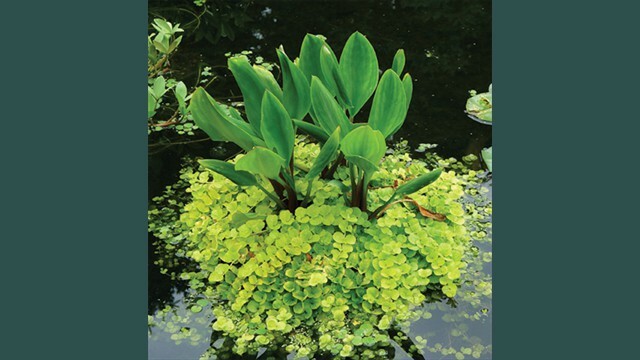 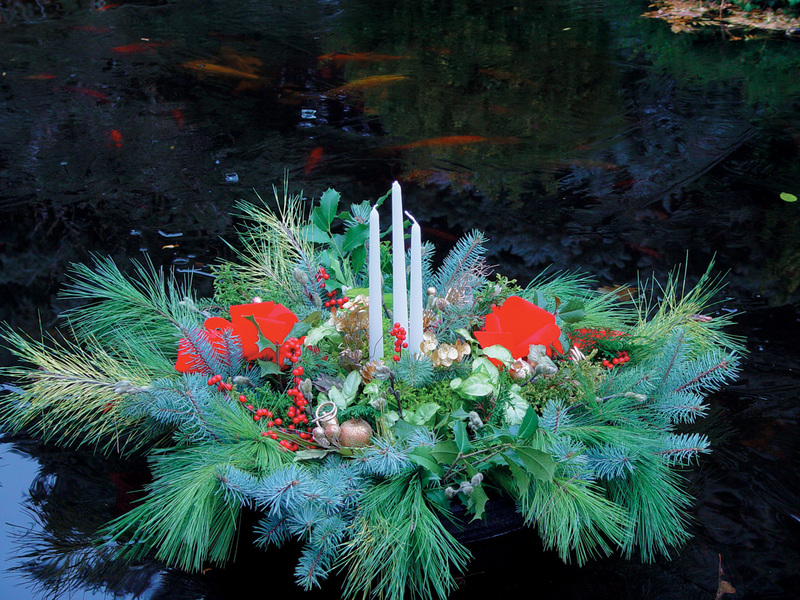 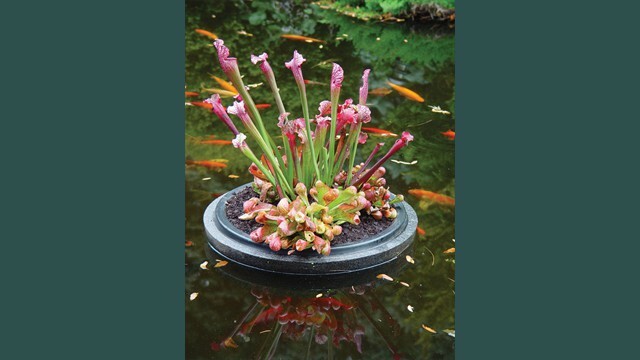 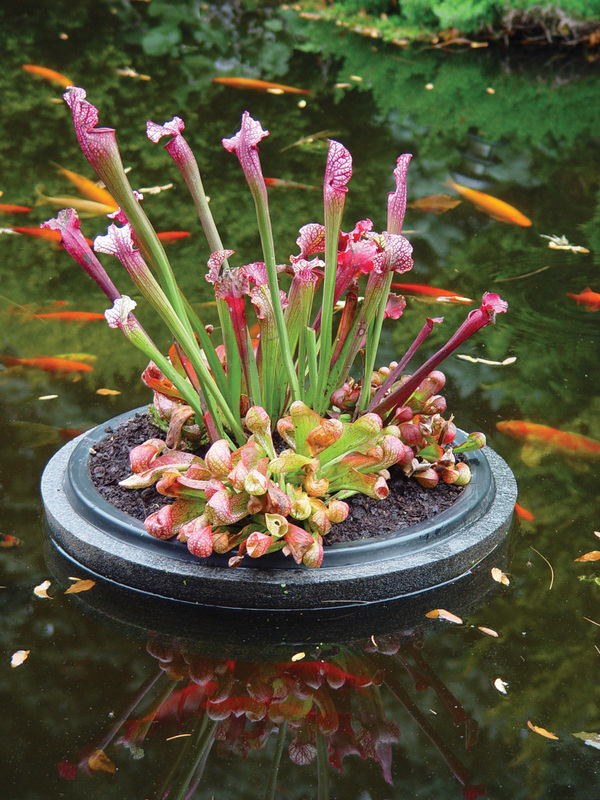 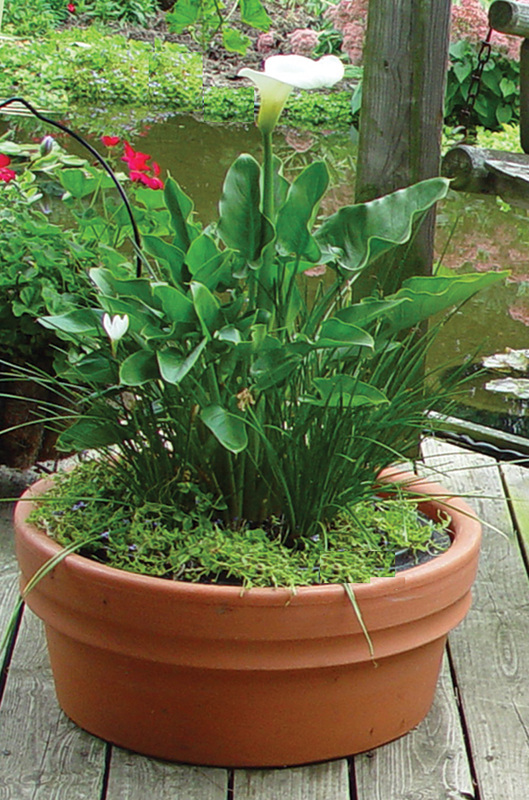 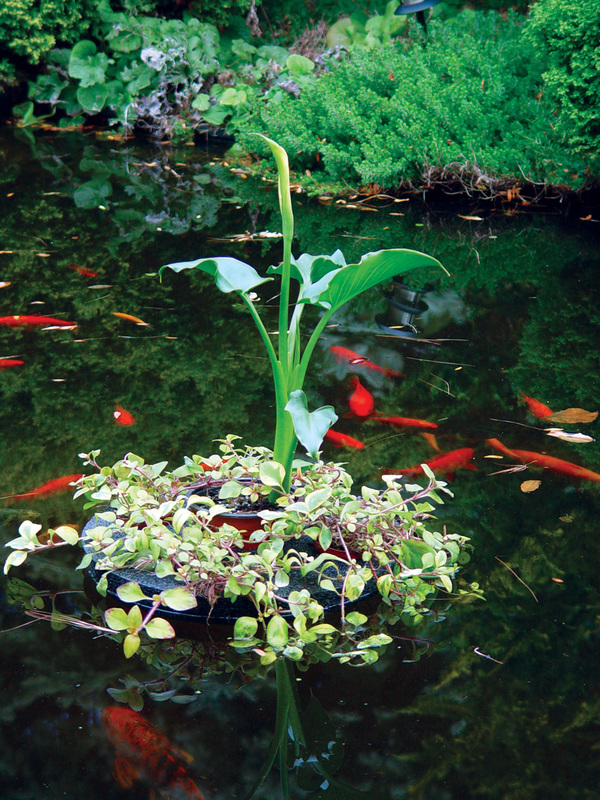 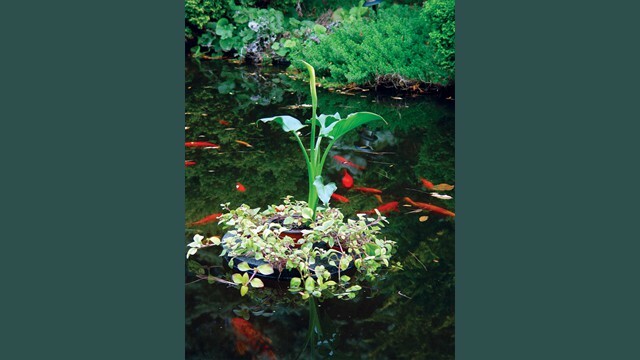 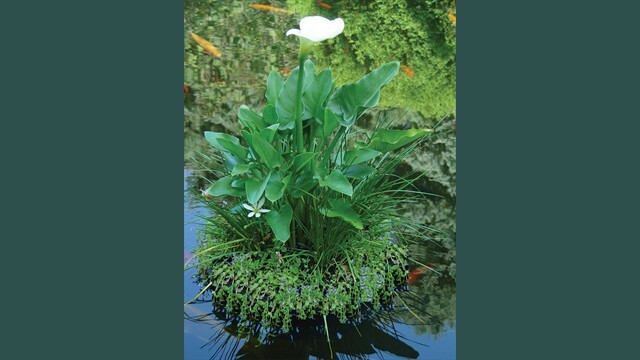 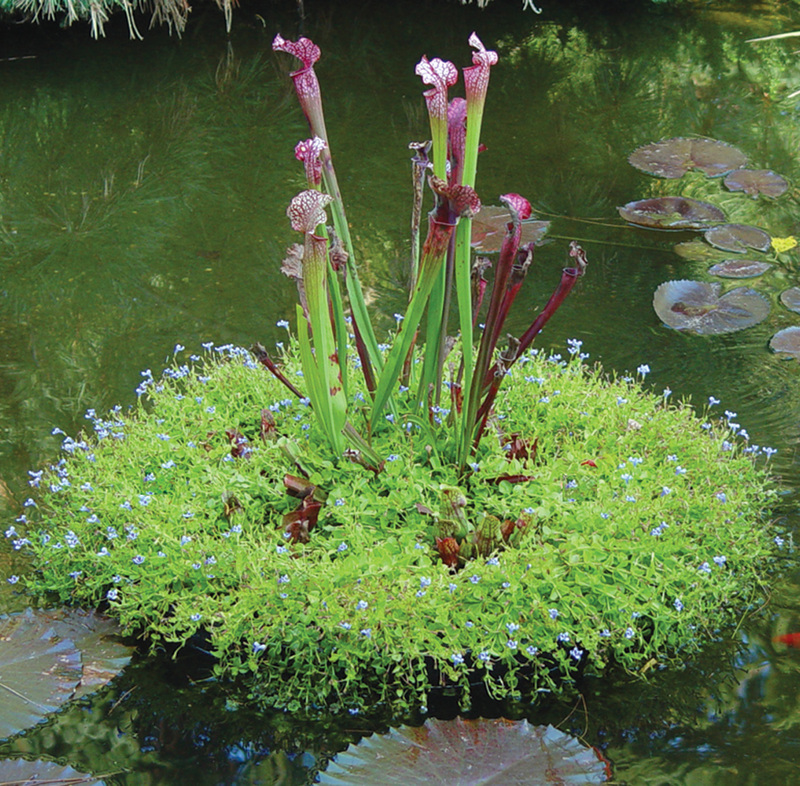 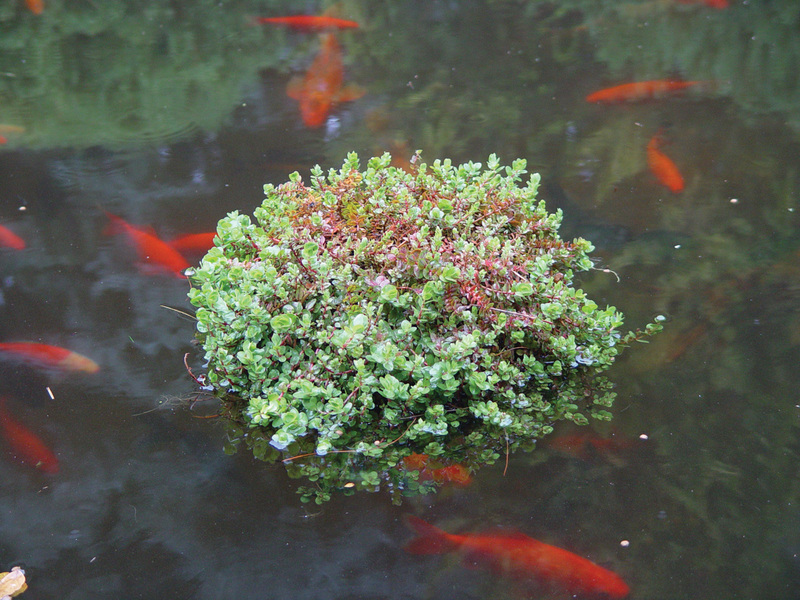 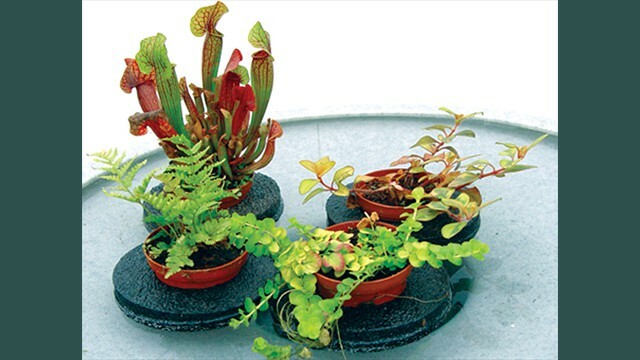 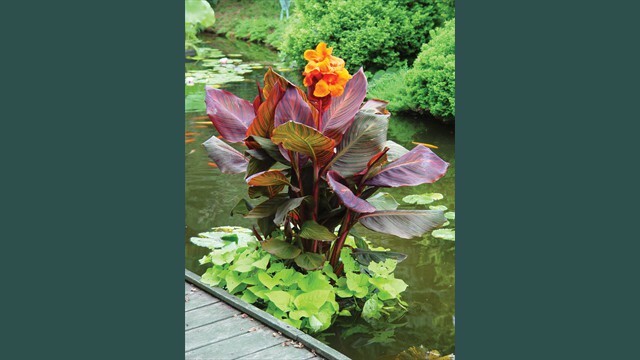 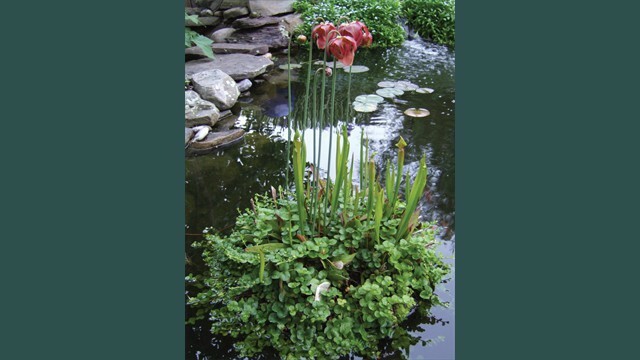 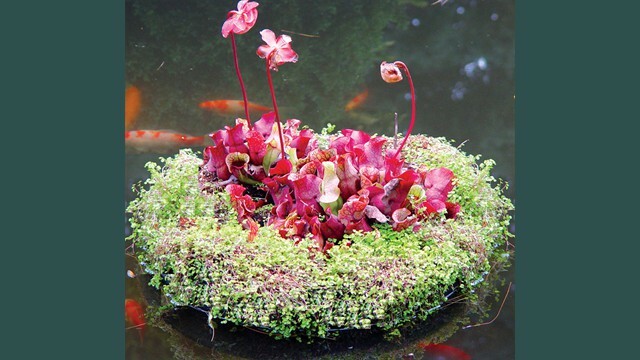 Floating Islands can also be used in water filled planters on decks or patios.